When the new customized world system comes out plz add the ability to make villages spawn on smoother ground. Every time I find a village it looks like it has been hit by an earthquake and I find that the village has windows underground, doors handing 3 blocks above the surface and sometimes entire building submerged in a hillside. Plz make it to where we can make villages spawn on flat ground. PS if anyone is able to bring this to the devs plz do it. I am tired of seeing messed up villages. 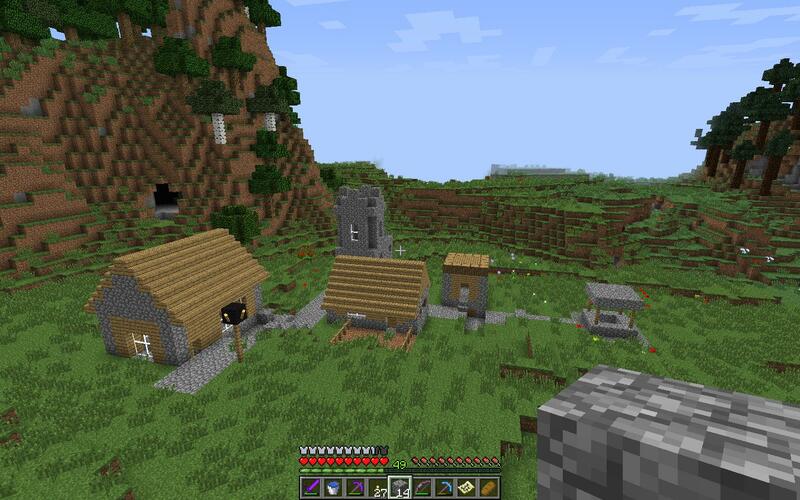 To be honest, villages should just automatically spawn on flat ground. 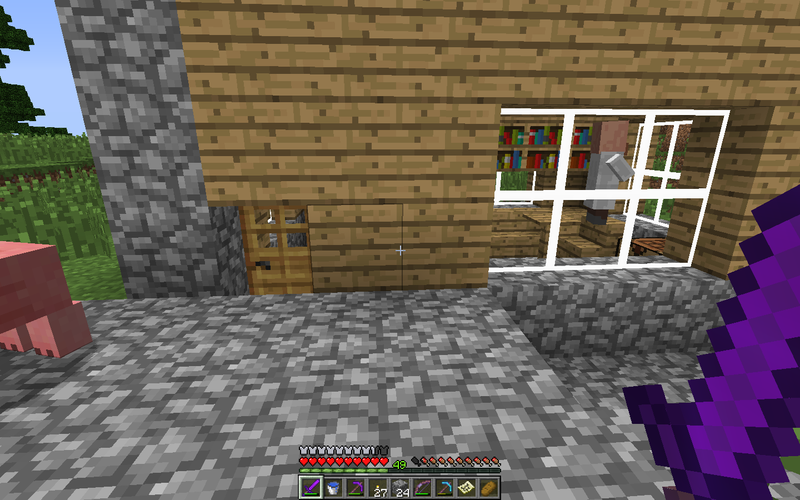 Villagers & villages need an overhaul. While this is commonly suggested it is not easy to do because of the way structures generate; they are generated chunk-by-chunk (for example, here is a partially generated village at the edge of generated chunks) and the game has no way of knowing whether every single chunk the village covers will be suitable without being able to check every single chunk at once, which would require a major refactor to world generation to avoid issues (e.g. load and check every single chunk a structure may cover at once and generate the entire structure at once if the terrain is suitable, which will not be good for performance, easily crashing the game if villages were close enough to overlap due to runaway world generation, and on low render distances structures could generate on top of the player). Actually, Mojang implemented this before in a much simpler way - prior to 1.10 villages could only generate within relatively flat biomes, including not just their start location but any part of a village, which is why you'd see villages next to a river but never extending into it, never extending into desert hills, and so on (the game would not completely abort a village if part of it extended into an invalid biome, it would just not generate structures in that area, and not at all if at least 2 structures other than the well could not be generated; as a result about 1/3 of attempts failed). 2. Modify the terrain around a village. Flattening the area around a village has been suggested before, and is definitely something to consider. One might argue that it could lead to making things seem unnatural, but smoothing could be done to prevent this. A possible, albeit awkward way to solve this is to create a "Village Biome" or Village biome variants in which ravines and trees are forbidden to generate and the land is incredibly flat, with at least 16 blocks between each increase 1 block in terrain height or flatter. 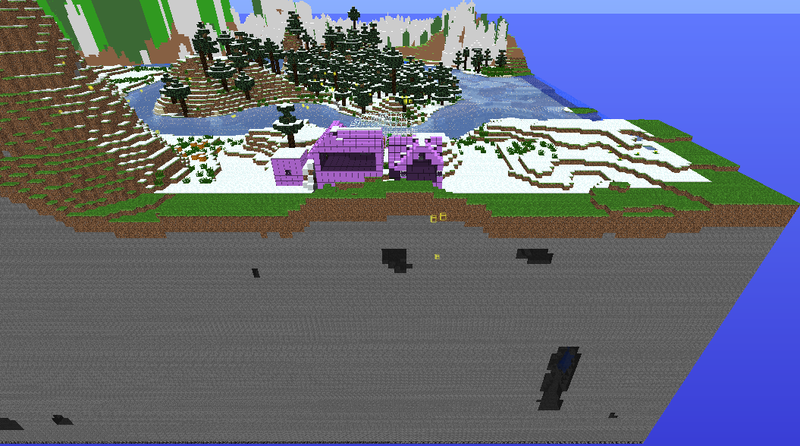 This would allow villages to more easily find plots of completely flat land to build on. 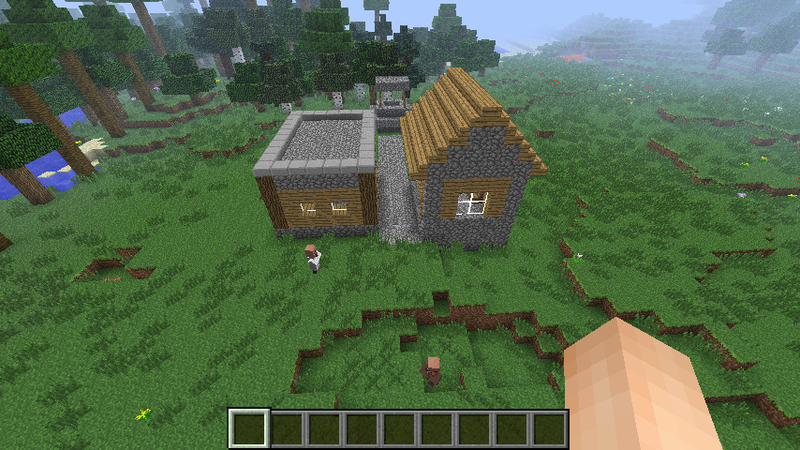 If the idea of Village Biomes just seems awkward, another way to make villages spawn on flat ground would be to spawn the houses on cobblestone foundations that fill the ground below a building up to where the highest block in the building's spawn area is. The foundations would generate a set of stairs starting at the door of the building down to the level of terrain where the stairs should end. Or better yet, when finding a spawn area, the average height of the area is calculated, and the area 2 blocks around the building above the average height is removed to allow buildings to spawn with plenty of space around the door, rather than just finding the average height and only replacing the blocks the building's own blocks would replace. so a village biome is basicly just a plains biome? Think flatter. Yes, that was the purpose of spawning them in plains biomes in the first place, the idea is that this rare, small biome or biome variant contains the flattest land possible to allow Villages to have suitable land to generate, with little or even no slope.